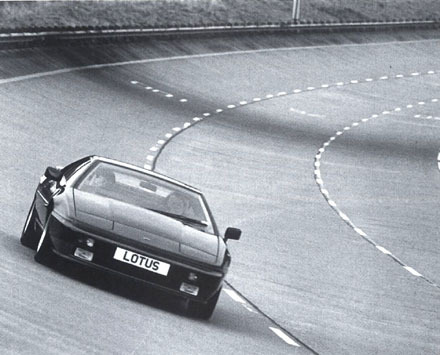 In the latter part of 1987, Lotus produced 2 Esprit models, the top of the range Esprit Turbo, at £29,995 and the cheaper Normally Aspirated "Esprit" at £22,995. Both cars, designed by Peter Stevens, are visually indistinguishable to the average Person. So here is a brief guide to spotting the difference between the 2 cars. The most obvious visual difference was the 1987 Esprit Turbo had grey coloured sills and a lower splitter (painted in Lotus' "Vulcan Grey"), where as the N/A had colour coded bumpers and sills. The Turbo model featured a glass panel between the rear flying buttress on the tailgate, where as the N/A had no glass (just an open back). The Turbo had front fog lamps and an additional internal moulded splitter, the N/A had no fog lamps or internal splitter. At the rear of the car there was a horizontally fretted black plastic panel between the rear brake lights fitted to the Turbo cars, where as the N/A had a plain black panel. There was a metal ventilation grill under the rear bumper, to allow better ventilation for the Esprit Turbo cars. The N/A had 4 lozenge shaped vents cut into the rear lower bumper. Colour coded wing mirrors where fitted to the Turbo cars, where as the N/A had black wing mirrors. 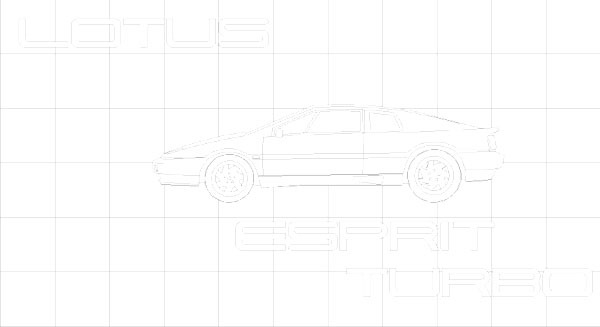 Finally the Turbo had a metal badge "Esprit Turbo" on the body work, bellow the rear window. The N/A had a metal badge stuck to the rear windows saying "Esprit." From spring 1988 the Esprit Turbo no longer featured a grey valance and was colour coded to look like the N/A model (The Federal Esprit Turbo continued to feature grey sills until 1989). These days it may be more difficult to differentiate the models apart, as quite a number of Stevens Esprit's have been re-sprayed and modified with newer alloy wheels (often from the Esprit S4 or S4s), with V8 Esprit wings and bumpers, making identification more difficult.